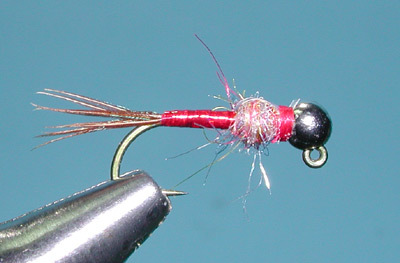 Notes: The Rainbow Warrior is a nymph attractor pattern designed by Lance Egan of Salt Lake City, Utah. 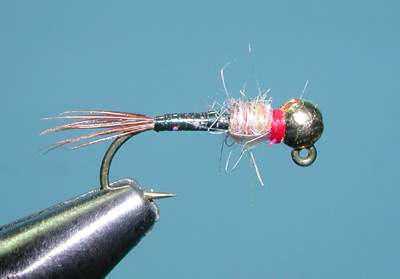 Lance is a member of the National Fly Fishing Team USA and has developed a number of fly patterns to keep a competitive edge. His patterns tend to be suggestive with trigger mechanisms yet simple with a minimal amount of material. 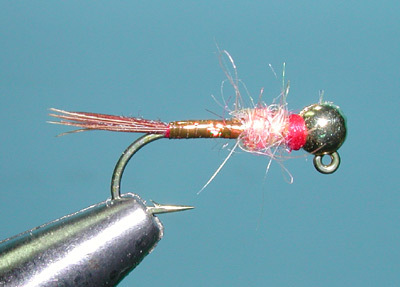 Lance orginally tied the Rainbow Warrior on a TMC 2457 nymph/emerger hook sizes 12-22 but over the last few years a jig hook, such as the Daiichi 4640, has become very popular using it as the "point fly" in a European style nymphing rig, ie Czech Nymphing. 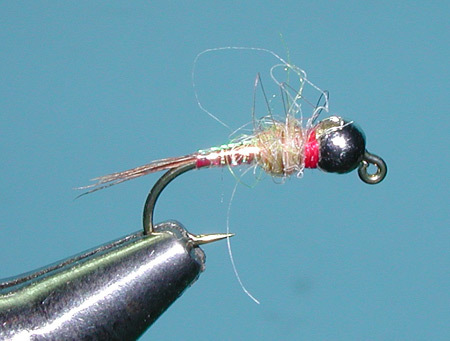 The advantage is that the fly rides point up so that there is less snagging the bottom.